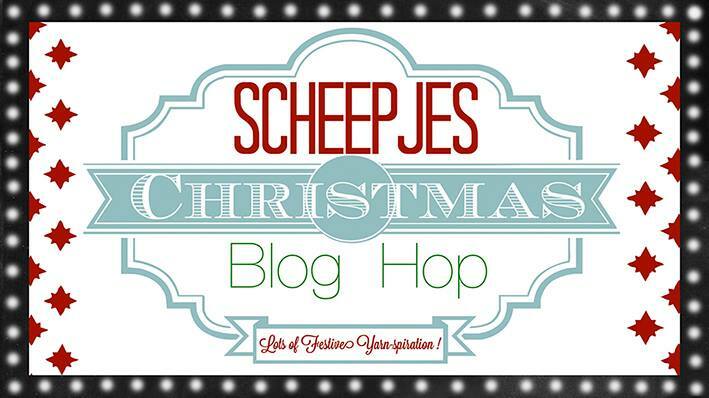 Today is the very last day of the Scheepjeswol Christmas Blog Hop and I’m so sad that it’s over, yet very happy to be able to send it off, hopefully in style! How incredibly beautiful is Heike from Made with Loops bag? 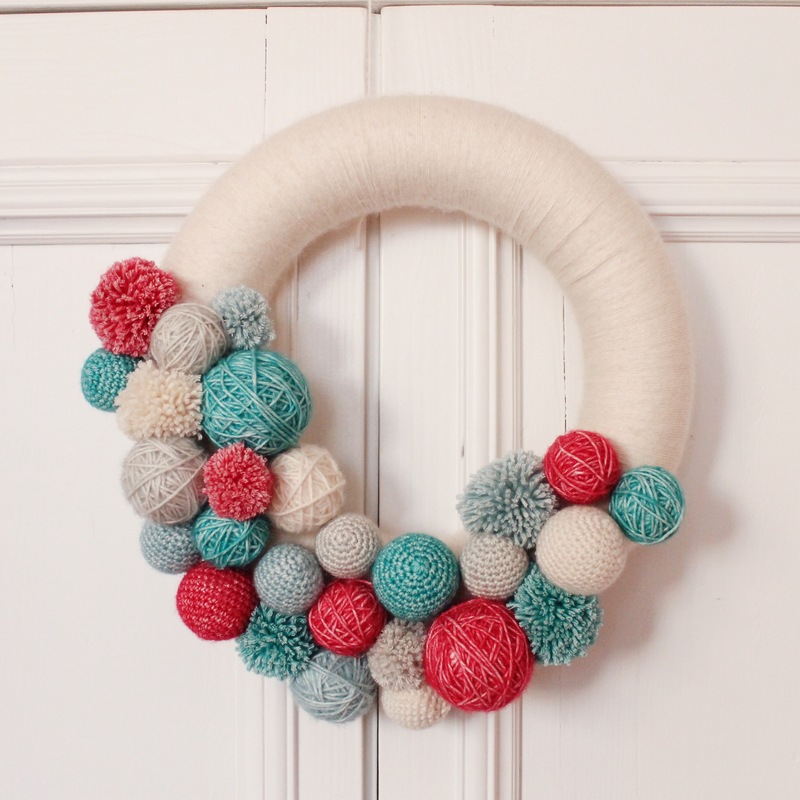 Fair Isle, I promise you, will be absolutely THE biggest yarn trend of 2015, so get onto it! 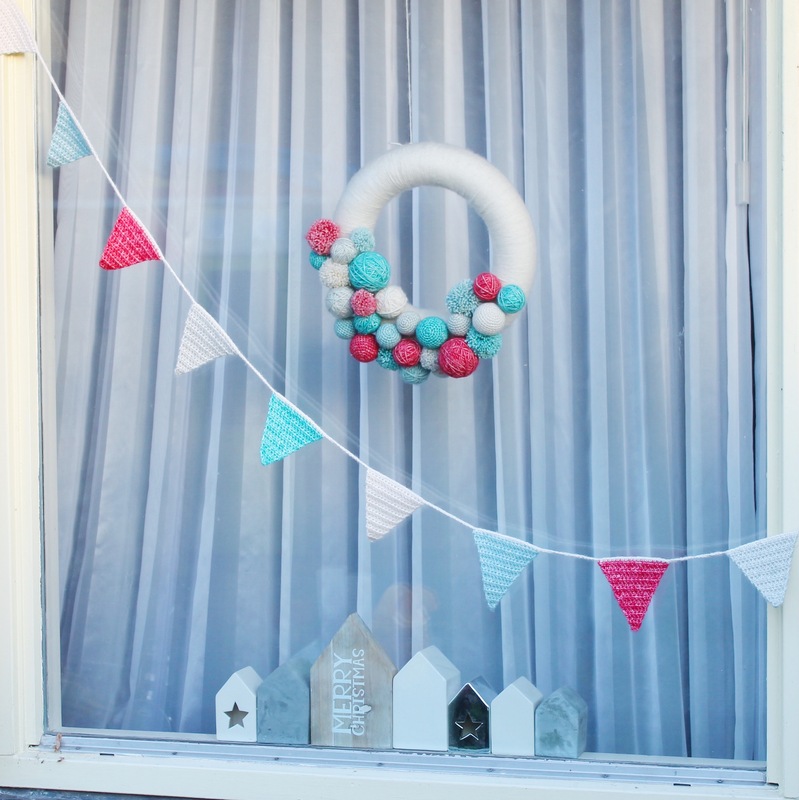 Here’s today’s project from me, some lovely and very simple Christmas Bunting. 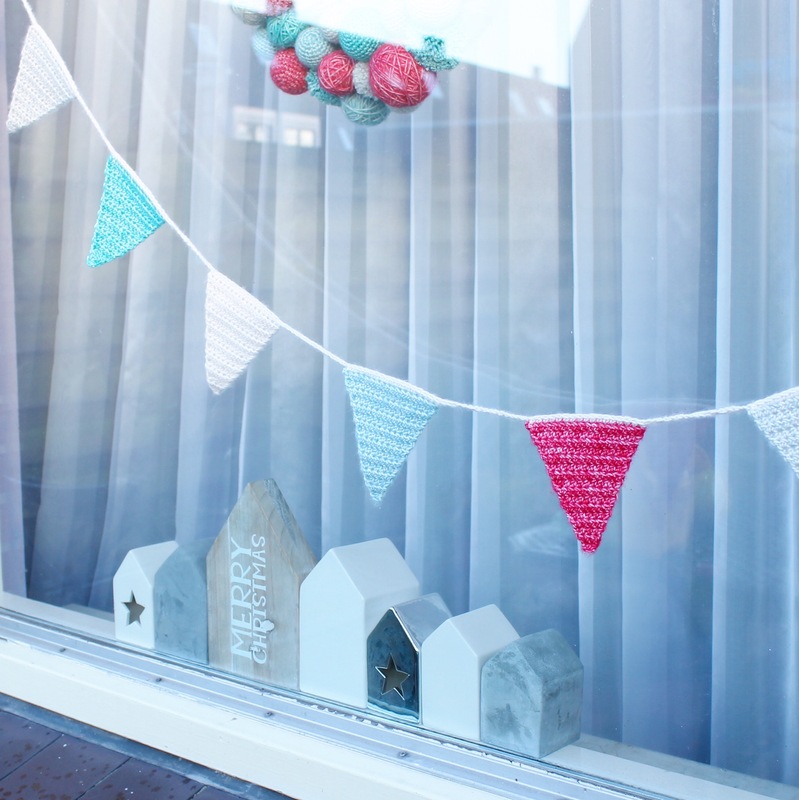 I had some left over yarn once I had finished my Christmas Wreath and I wanted to use it up for something fun to decorate the house with this Christmas, and I just love bunting, so bunting it was! 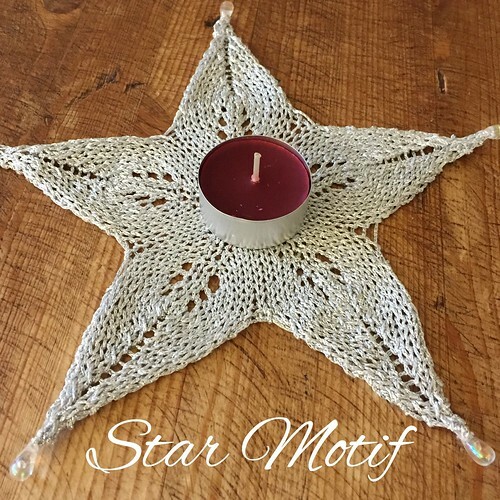 I came up with a very simple half double crochet pattern that works up in a jiffy. Each flag can be made in under ten minutes! It’s a great scrap project too, so you don’t have to worry too much about how much yarn you have lying around. 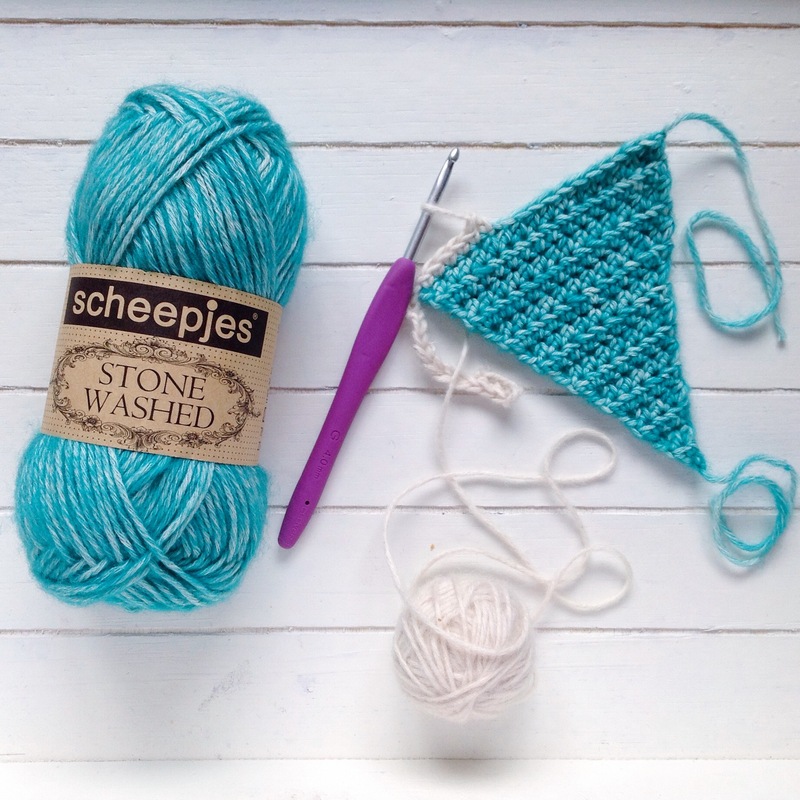 Scheepjeswol Stone Washed in five colours. I used the same as in my wreath: 801, 807, 815, 813 and 814. Choose one of your colours, then start with a slip stitch, and chain 2. Half double crochet into the second chain from the hook and there you will have the foundation of the triangle to start building your bunting. From here on, you will need to increase at the end of each row with 2 half double crochets into the last stitch. Row 2: Chain 2, 2 HDC (half double crochet) into the next stitch (3 stitches in total), turn. Row 3: Chain 2, HDC into the next stitch, 2 HDC into the last stitch (4 stitches), turn. Row 4: Chain 2, HDC into the next 2 stitches, 2 HDC into the last stitch (5 stitches), turn. Continue this pattern until you have a stitch count of 17 (16 rows in total), then tie off and weave in the ends, making sure you keep the nice point at the bottom of the triangle. 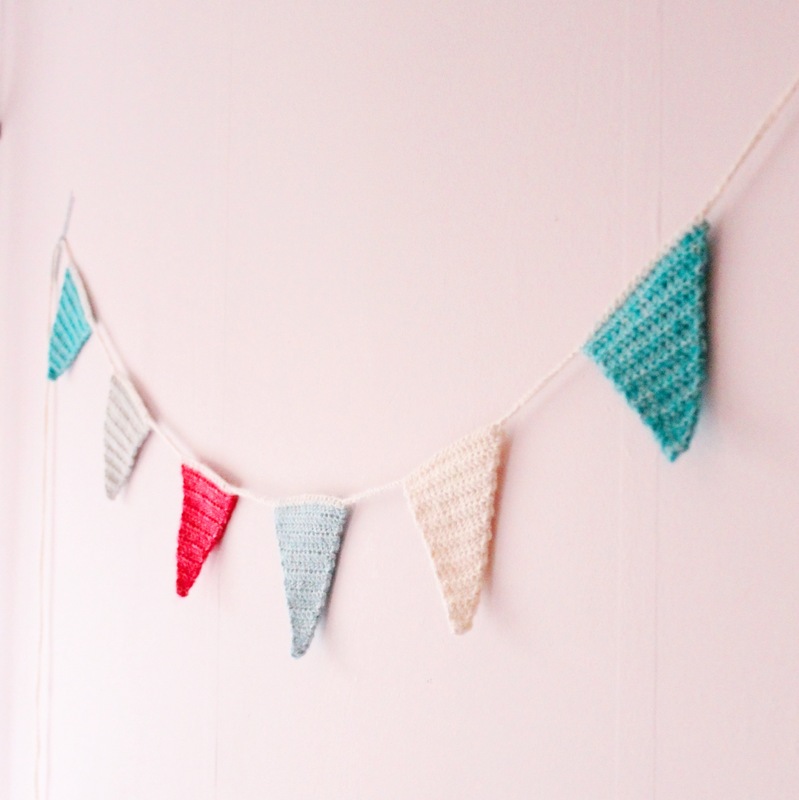 To join the bunting, take your lightest colour (801) and start chaining, working the end in as you go. 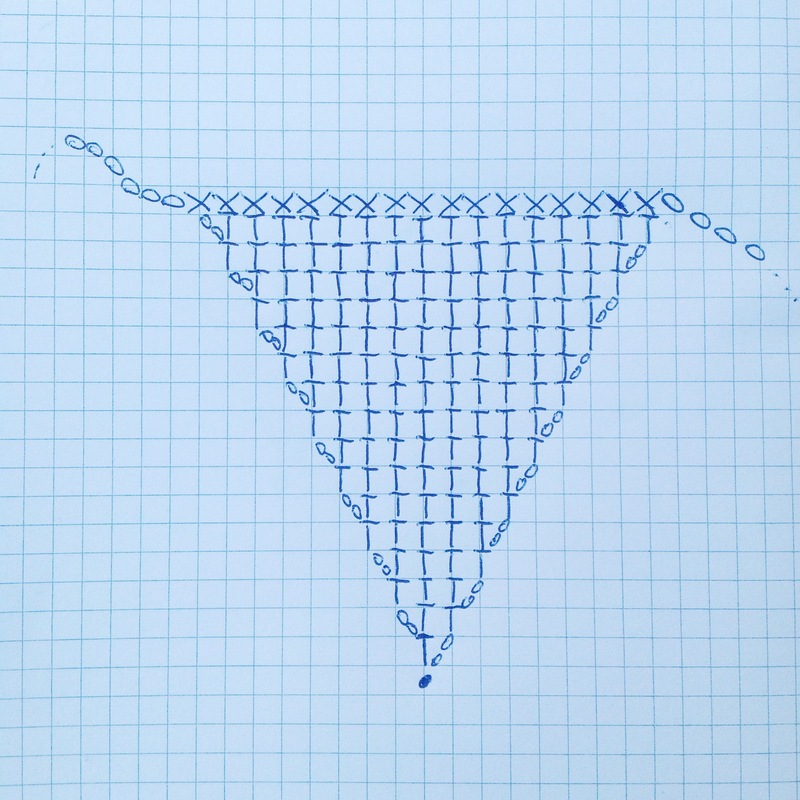 Chain for 60cm to create a long enough tie, then attach to the first bunting triangle by single crocheting into the first and then all 17 stitches along. Continue to chain, leaving about 8cm in between triangles. Repeat this pattern until you have attached all your triangles to the chain, then to finish off, chain a further 60cm before cutting the yarn and weaving in the end. The finished bunting will measure about 4m in length. And you’re all done! Now all that’s left to do is find the perfect spot to hang it! 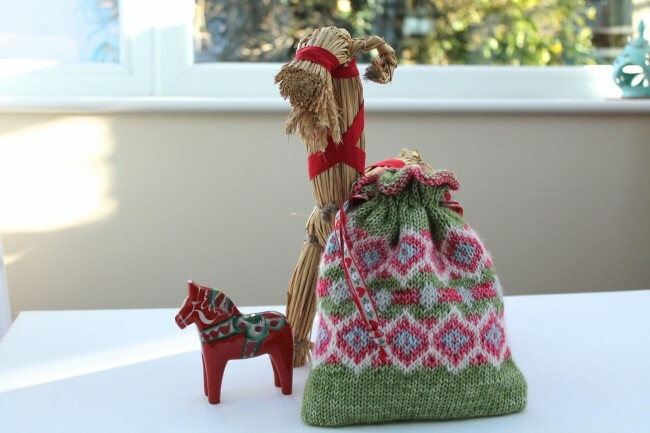 This spectacular Fair Isle Christmas gift bag from Made with Loops. What a collection of designs, I’m so happy to have been involved – surrounded by such talent! 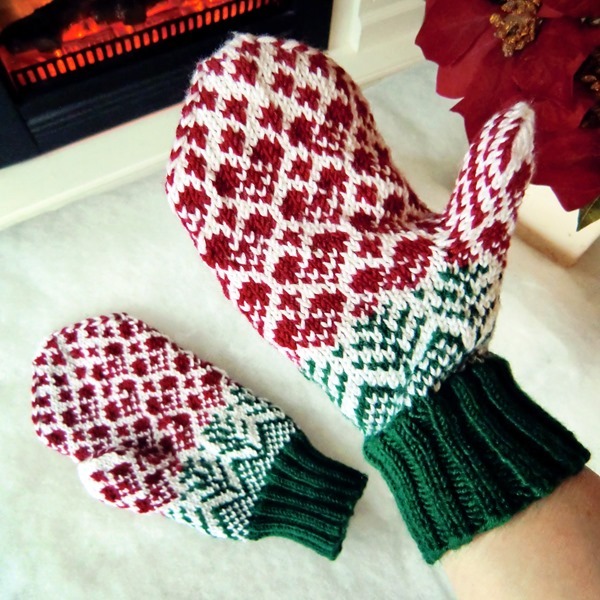 This entry was posted in Christmas, Scheepjes, Scheepjeswol, Stone Washed, Tutorials and tagged 50 shades of 4 ply, attys, canadutch, Christmas, craft, crafts from the cwtch, crochet, crochet pattern, DIY, free pattern, haak maar raak, Jellina-creations, made with loops, MissNeriss, Obsessed with Crochet, pattern, projects, Santa, scheepjes, scheepjeswol, stone washed, vicarno, yarn. Bookmark the permalink.